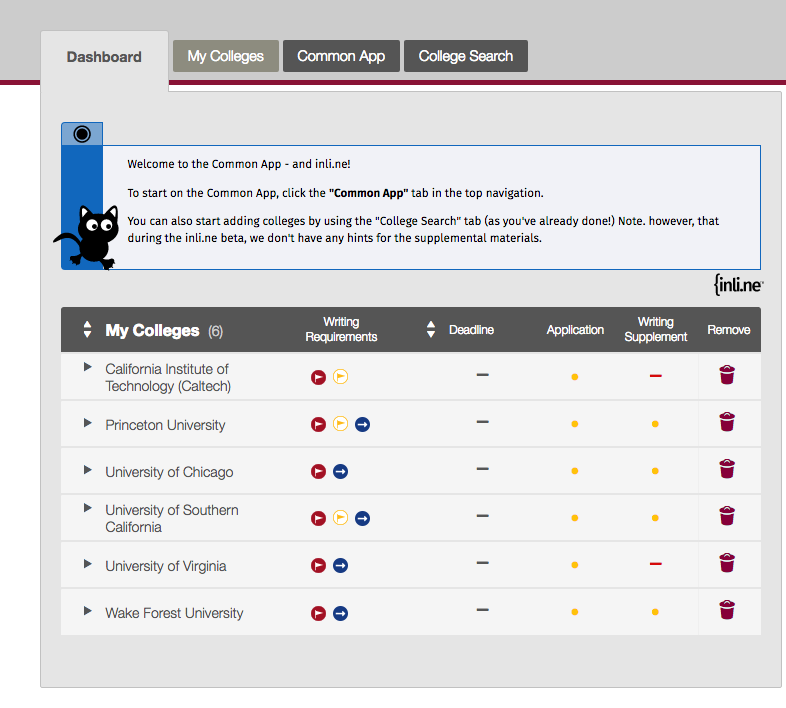 Once you install inline®, it opens automatically whenever you launch the Common App® – tips, hints, sample essays, insider advice: it's all available while you’re actually filling out your application – just when you need it most. 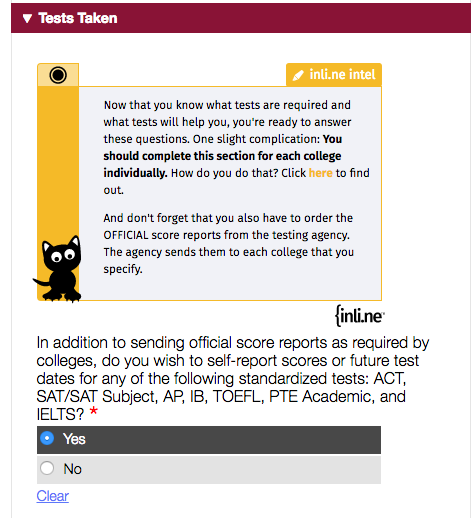 Created by actual college admissions officers, inline® will give you the inside scoop on how to put your best foot forward, whether you’re highlighting your extracurriculars, reporting test scores, or even answering basic questions. Inline® distills years of experience reviewing actual college applications into help that will make you shine. “What’s required and what’s not?” “What does my high school report?” “How am I supposed to know all this?” Inline® explains the point of each question and helps direct you in supplying the right information to help you look your best. It also helps keep you from making mistakes that might have an impact on your admissions decision. 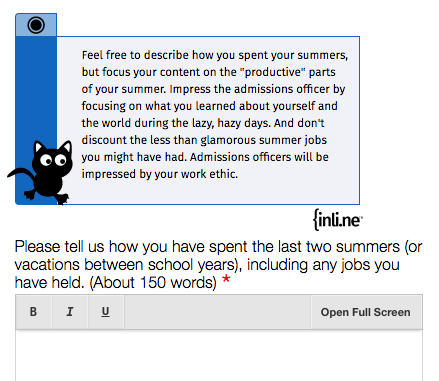 Inline® gives you tips and advice on how you can go beyond the obvious to help your application stand out, including advice on how to maximize your advantages when it comes to completing the Common App®. LIFE ISN’T ALWAYS A STRAIGHT LINE. 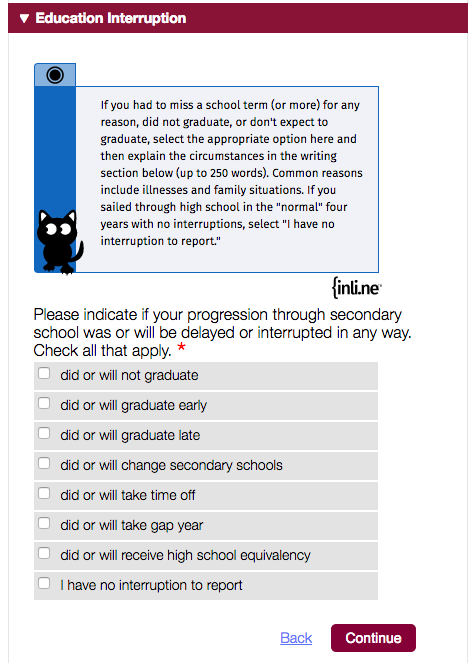 Inline® provides tips for situations like dealing with an education interruption. Or perhaps you are home-schooled, a veteran, or an international student? 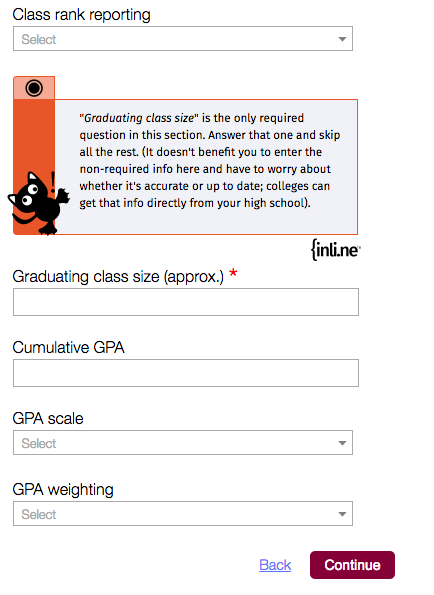 Inline® has add-ons with customized advice and help for students in all three of these categories. Inline® INTEL distills years of experience reviewing college applications into expert advice to help you stand out. It’s almost like getting the download directly from an admissions officer, and you won’t find it anywhere else but inline®. 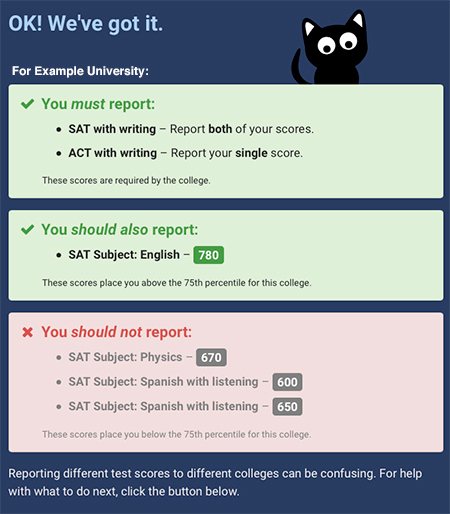 Inline® gives you the inside scoop on reporting your test scores on the Common App®, including whether you should submit multiple scores, and which scores are most important. Inline® includes sample essays from successful applicants and breaks them down so you can understand the elements that go into crafting a stand-out essay for yourself. You also get an insider’s view on how admissions officers read essays, to help you make the right choices when writing your own. Inline® provides advice and strategy on how to submit your standardized test scores for maximum effect and helps keep you from making mistakes in what is an often complicated process. 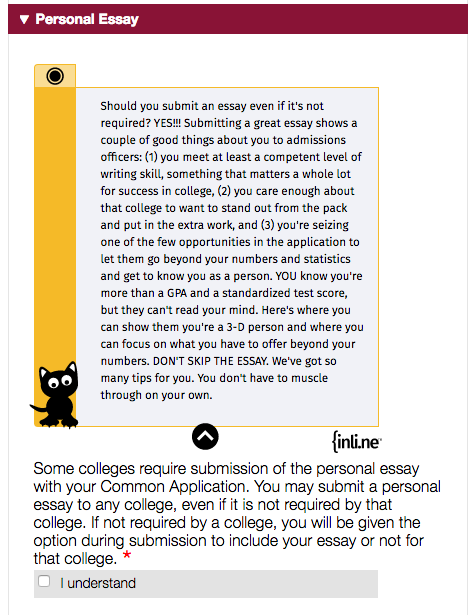 Inline® will help you conquer the college application – get it now!